When you’re as busy as I am, especially heading into a new school semester, overnight oats are the perfect on-the-go breakfast. You can make them in less than 10 minutes the night before and in the morning you just grab them on your way out. I try to save time anywhere I can – yet I am still always 5-10 minutes late for everything (I’m working on that). 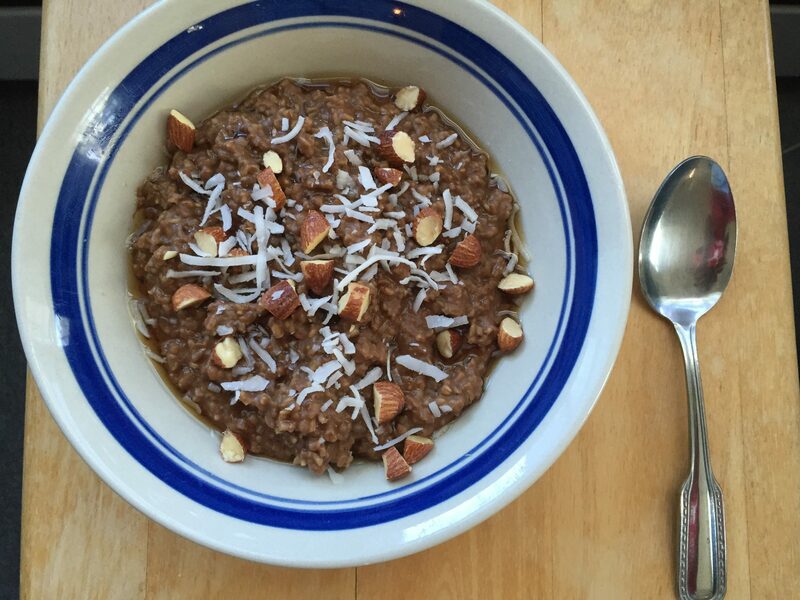 I love chocolate, so I usually try to make chocolate-based oats, which ends up tasting like a dessert for breakfast! Here I am sharing my go-to recipe, which can be adapted to fit any chocolate-y craving. My favorites are chocolate, coconut, and almond and chocolate, banana, and peanut butter! 1.) Mix all ingredients together in an airtight container. Top with desired toppings and leave in the fridge overnight (covered). 2.) In the morning, mix everything together. Add more maple syrup if not sweet enough. Enjoy hot or cold!